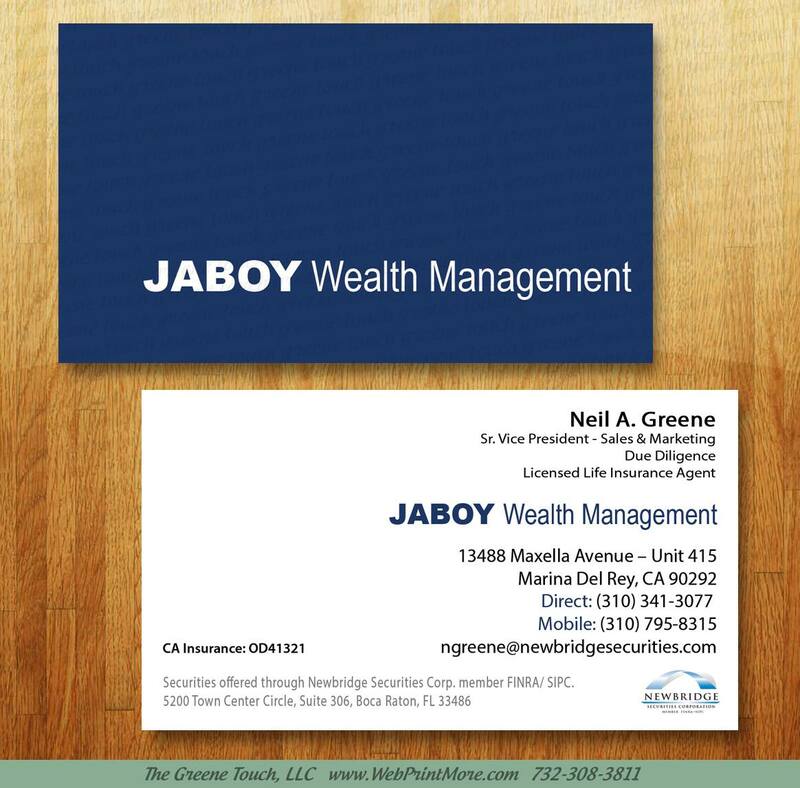 a small card printed with one's name, professional occupation, company position, business address, and other contact information. Yes A small 2×3.5 card has become one of the most important items and one of the first items designed and printed when an individual decides to start a business, crazy but true. Think about it when you meet someone that is a business owner there probably going to hand you a Business Card. The Greene Touch can help, Design, print, and ship your Business Card to you in Lake Worth, Wellington, Boynton Beach, Delray, and just about anywhere in Palm Beach County Florida as well as world wide. The Greene Touch has an In House design studio in Lake Worth FL, our designers have the skills to make you that WOW Business Card that people will remember. Our team of on-site graphic designers assists and advise clients with concepts, ideas and design development. They combine their creativity with a thorough knowledge of traditional and digital print production, ensuring you of effective, efficient business communications. From custom design tailored to meet your needs, we have the expertise to help you achieve success . Digital printing eliminates numerous mechanical steps in the conventional printing process, including color proofs, manually stripping the pieces together and making plates. Instead of cutting and folding printed “signatures” to put the pages in order, software sorts them in memory and prints them in the correct sequence.